Positives and Momentum Builds for Biotechnology! Appears to settle debate on regulation gutting vs streamlining. Medicare pricing negotiation appears to be not on the table. A new leader and, we believe, approaching clarity on Medicare pricing negotiations are two strong positives for the Biotechnology sector. 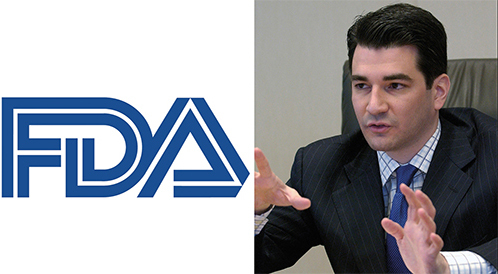 The former Deputy Commissioner of Food and Drug Administration ((FDA)), Scott Gottlieb, has been chosen by the Trump administration as its nominee to lead the agency. The healthcare industry will be heaving a sigh of relief as Scott Gottlieb, a physician who served under the Bush administration, is considered a more mainstream candidate amongst those in the running. Other candidates in the mix, who were neither physicians or scientific researchers and would have been a departure from the past 50-years of tradition at the FDA, were Jim O'Neill, who advocated drugs being tested for safety and shifting the efficacy onus to the market and patients, and Balaji Srinivasan, who was known for his anti-FDA views. As discussed in greater detail in an earlier article, Biotech Bonanza: Breaking New Ground, the pharmaceutical and biotech industry preferred a Commissioner who can come in to streamline the process without making drastic and sweeping changes. 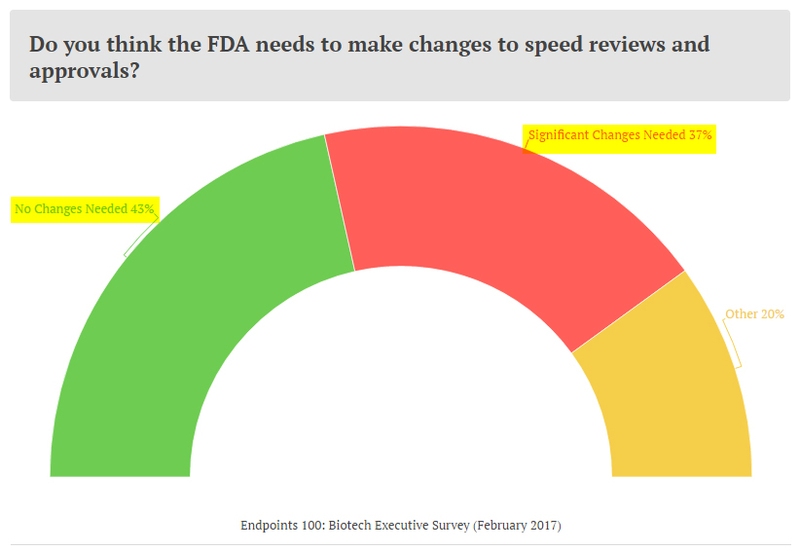 This was evidenced by an Endpoints survey, where a majority of leading pharmaceutical executives were in favor of not making changes at the FDA. At the same time, a material percentage were in favor of making significant changes. Scott Gottlieb appears to be the middle-ground. As recently as the State of the Union address on February 28, Trump has called for improving the drug approval process to speed up treatments and reduce costs. Amongst the candidates, Scott Gottlieb was the best choice to accomplish this objective while maintaining a balance in the FDA's role of bringing safe and effective drugs to the population. He has a lengthy record of talking about lowering drug prices by modernizing the processes involved in the FDA's approval process. In the past, Gottlieb has applauded the rapid drug approval work done by the FDA's oncology unit, and made a case to push through such efficiencies to other parts of the FDA. He has associated drug approval speed with lower drug costs, something which Trump has begin to emphasize over the past two months. The pharmaceutical industry fear of a significant loosening of standards and regulations has eased, as a more calibrated approach, instead of a gutting of regulations, appears to have won with the nomination of Gottlieb. The Senate hearings will provide more insights into the nominee's approach on deregulation. The nomination is a major positive for the biotechnology sector. 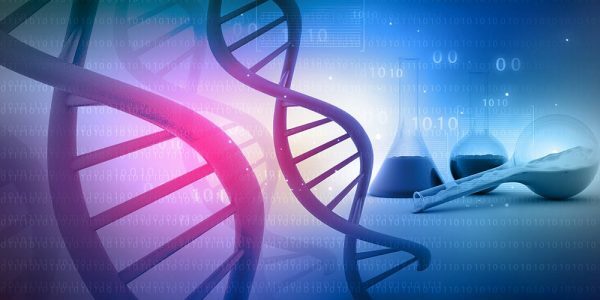 The FDA needs a modernization program as the world shifts towards more innovative platforms and personalized medicines, and the biotechs will be the immediate beneficiaries of such changes. Medicare Price Negotiations - A Decision Appears Close! The ongoing issue of price negotiation power for the Centers for Medicare and Medicaid continue to remain in the headlines. Even after Trump has begun to emphasize drug approval process to achieve cost savings, instead of competitive bargaining of drug prices by the federal agencies, the issue still remains at the headline level. Perhaps, Trump is counting on it as a bargaining chip..
Last Wednesday, March 8, Trump met with two Democratic congressmen to discuss a draft bill allowing for such price negotiations under Medicare and to import drugs. While the White House issued a boiler-plate press release of the President working "in a bipartisan fashion to ensure prescription drug prices are more affordable," the two representatives, Elijah Cummings and Peter Welch, disclosed that the President was enthusiastic about the proposal and told the Health & Human Services ((HHS)) Secretary, Tom Price, to "get it done." Furthermore, Representative Cummings, who is the top Democrat on the House Oversight and Government Reform Committee, mentioned a "lengthy" follow-up call on Friday morning, March 10, initiated by the President, followed by another call later in the evening on the same subject. To us, this appears to be a flurry of activity in a short duration, suggesting the policy wheels are turning faster than anticipated on a critical decision for the pharmaceutical and biotechnology industries. Sunday morning, March 11, the Director of the Office of Management & Budget (OMB), Mick Mulvaney, was asked point blank by George Stephanopoulos, the host of the news program This Week, about the Medicare price negotiation following Trump's meeting with Rep. Cummings, who was on the show as well. Stephanopoulos: So is the administration going to get fully behind this idea to have Medicare negotiate drug prices directly? Mulvaney: What I'm more familiar with, George, is how we're looking at trying to figure out a way to drive down drug prices through changing the regulatory requirement. Mr. Cummings, Congressman Cummings and I used to serve on the Oversight and Government Reform Committee together...And one of the things that he and I both learned together was that it's government regulation, the inability for drug companies and medical device manufacturers to get things approved, government intervention that is driving up the cost. And I do know for a fact the administration is going to be looking directly at trying to figure out a way to fix that. And I know and hope that we can count on Congressman Cummings' assistance in doing that." The person who is coordinating the new health care reform bill for the President, and intimately familiar with the discussions and details around it should know if Medicare negotiation is actively on the table or not. But even after being aware of multiple discussions between the President and Rep. Cummings two days prior, Director Mulvaney clearly pointed towards bringing down regulations for faster drug and device approvals as the means to lower pricing and avoided any suggestion of Medicare price negotiations. We believe the administration is now fairly well-settled in framing its policy on bringing down drug prices. 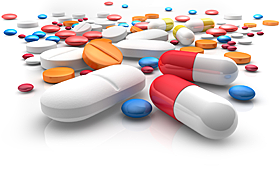 The thrust will be to reduce regulations and create faster drug approvals, to eventually bring down costs. We may end up with egg on our face, but it is our inference, based on the above analysis, that Medicare price negotiation will not be part of the above policy. If this were to happen, it will be a major positive for the Biotech and Pharmaceuticals sectors. Judging by the rising pace of activity, investors may be able to get a clear sense very soon, perhaps during this month. The optimism for a strong year for biotechs is visible as the Nasdaq Biotechnology Index, represented by sector ETF (IBB), is up +12% in the first two months, while our Prudent Biotech Portfolio is up strongly as well at +26%. This compares with the S&P 500 (SPY) gain of +6%, and the Nasdaq (QQQ) gain of +8%. Biotech exposure is becoming more important to investors and fund managers, in order to outperform the market. It should not be surprising if President Trump abandons price negotiation for Medicare, a policy he has suggested multiple times. A review of most of Trump's policy actions clearly suggests an alignment with long-held Republican positions. 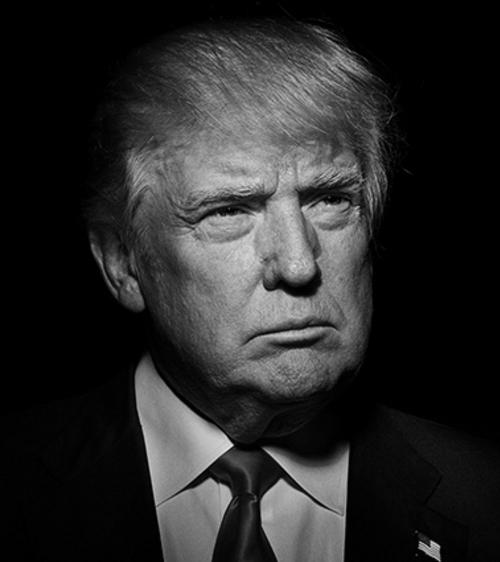 The independent maverick streak of Trump has been subsumed within Republicans views. In an article at the beginning of the year, Biotechnology: Is 2017 A Bonanza Year, we had talked about the shift towards industry self-regulation as being one of the outcomes of egregious price increases that have roiled the sector for over a year. 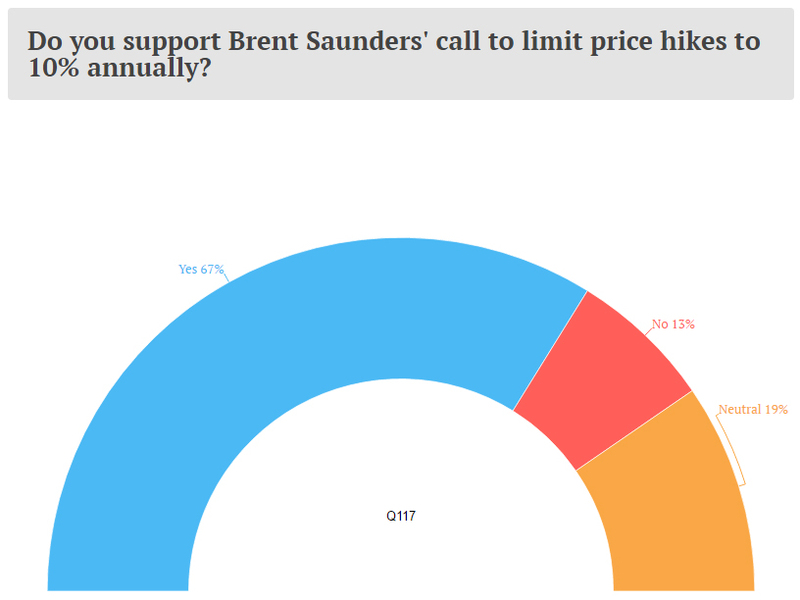 In a survey by Endpoints, more than two-thirds of the companies favored a self-regulation approach which was first highlighted by Brent Saunders, CEO of Allergan (AGN), who promised a capping of annual price increases to 10%. Trump has to some extent already succeeded in influencing pharma behavior. The biotechnology sector remains ripe for consolidation, and recent chatter has continued around Gilead (GILD) seriously looking at Incyte (INCY), as well as other oncology plays like Tesaro (TSRO) and Clovis (CLVS), amongst others. A more detailed discussion on M&A can be found in our earlier articles including Biotechnology: Off To New Highs. As always, please conduct your own due diligence.